Maureen Taylor, State Chair of MWRO, speaks at Netroots Nation panel on ‘Fighting for Democracy After Emergency Manager Takeovers in Michigan.’ She discusses the national narrative going on to depict Detroit residents in a way that makes it easier to blame them for poverty, and makes it easier to agree that they should not have water and other essentials for life. For additional information, you can check out some of the links below. Michigan’s Emergency Manger law was given sweeping powers over local governments in early 2011, and those powers were voted out by popular referendum in 2012. Now, in 2014, Michigan’s Emergency Manager law is stronger than ever. Rivera Sun and Getch talk with Claire McClinton of Flint, and Sylvia Orduno, of Detroit, Michigan. 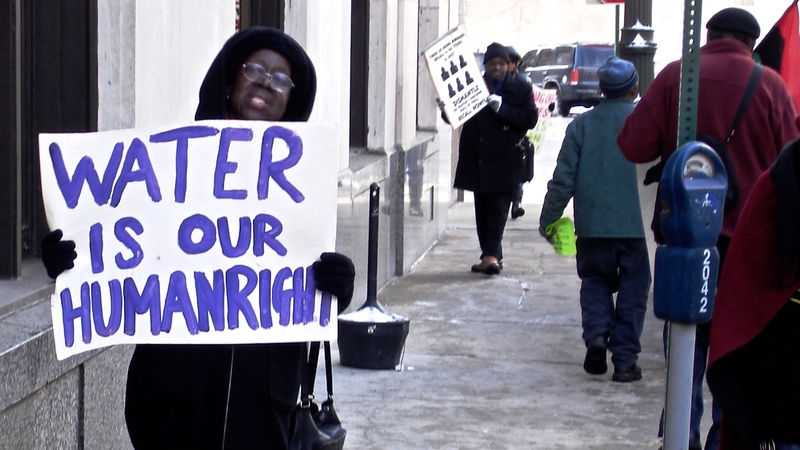 We discuss human rights violations and democratic breakdowns this week on Occupy Radio. David Geitgey Sierralupe prefers you call him Getch. As Dr. Seuss once noted, there are way too many Daves. When not plotting to Occupy the Media through an activist, internet media hub, Getch remodels homes in Eugene, Oregon.